“Game of Thrones” Season 8 episode 6 will air on HBO on May 19, 2019 and Rose Leslie, 31, already knows what will happen in the finale of the final season of the fantasy drama series. In 2018, she asked her husband Kit Harington, 32, and he did comply. 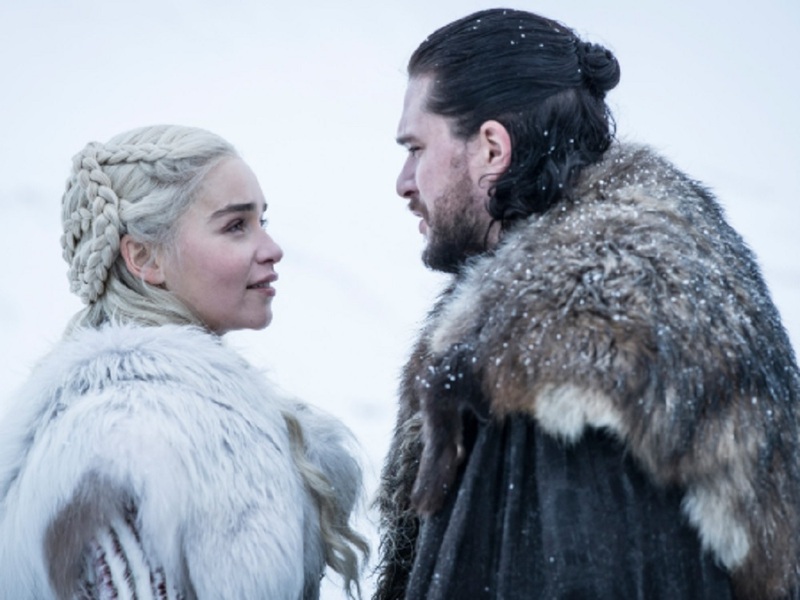 Playing Jon Snow, Harington is one of the actors featured in all the eight season of “Game of Thrones.” Leslie played Ygritte, which was a recurring character in Season 2 and was major character in the third and fourth seasons. Ygritte and Jon were also in love. Leslie’s character appeared in 17 episodes of “Game of Thrones” and in Season 4, she was killed by Olly (Brenock O’Connor) and she died in the arms of Jon. Harington and Leslie started dating in 2012 and announced their engagement in 2017. They got married at Rayne Church in Aberdeenshire, Scotland on June 23, 2018. Born in Aberdeen, Scotland on February 9, 1987, Leslie was raised at the Lickleyhead Castle in Aberdeenshire. Harington was born in Acton, London, England on December 26, 1986.